They say that breakfast is the most important meal. It’s when the day’s possibilities unfold before you, and all you need is a good dose of morning energy to bring them to life. 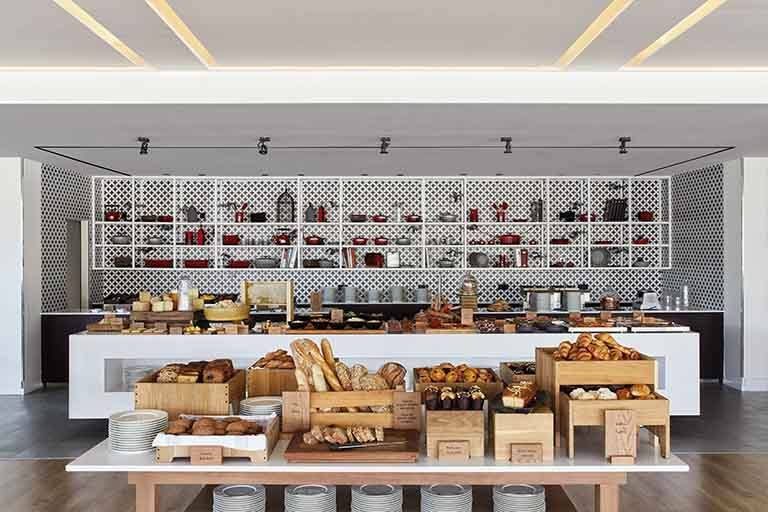 If you want to start the day off right and you’re wondering where to have breakfast in Barcelona, the grand buffet and newly remodeled space of Lokal restaurant at Hotel Arts is exactly what you’re looking for. At Lokal, everything is designed to make you feel right at home. Its spacious dining room is bathed in natural light and exquisitely decorated in the Mediterranean style. Rustic details adorn a fresh and welcoming environment where you’ll experience the very best flavors from around the world. And on top of all that, the room opens up onto an incredible garden terrace: an urban oasis tucked away from the hustle and bustle of the city. 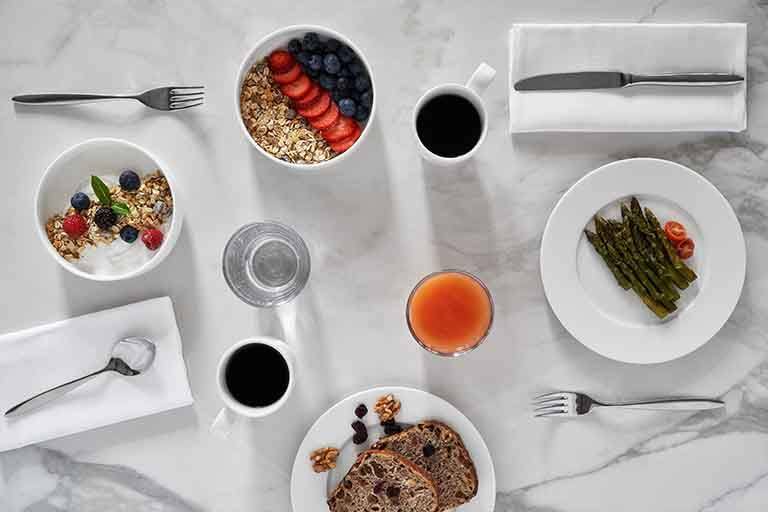 All of this is complemented by the kind of exquisite service that you’ll only find at the finest hotels, with first-class chefs and servers that will do everything they can to make breakfast an experience you won’t soon forget. Can you think of a better place to have breakfast in Barcelona? Not only is the cuisine at Lokal delicious; it also respects the environment and stays faithful to the most authentic Mediterranean flavors, always placing an emphasis on high-quality, sustainable, ecological and local ingredients. Be sure to taste the seasonal products: fruits and 100% organic juices that rotate on a weekly basis, accompanied by information regarding their origins and methods of production. You can also treat yourself to a delicious personalized juice with your favorite ingredients and let the professionals at Lokal prepare it for you on the spot. Special mention must be made to the wide variety of options on the detox menu, including spinach, beets and carrots with antioxidants and purifying properties to help your body and mind function better. It’s easy to take care of yourself when the best that nature has to offer is right at your fingertips! After a good breakfast, there’s nothing better than continuing your self-care at 43 The Spa. Let our food and its excellent presentation make your mouth water as you enjoy all kinds of Mediterranean and international cuisine at the best breakfast buffet in Barcelona: the fresh products corner is filled with seasonal fruits, milk, yogurts and cereals; the boulangerie features a wide range of top-quality pastries and breads; the cured foods section offers not only different kinds of cold cuts, meats and cheeses from various regions, but also a wide variety of dates and nuts; and of course the hot bar has waffles, crepes, scrambled eggs, mushrooms, bacon, sausages and many other dishes made to order by Lokal’s chefs. But if Lokal can be considered one of the best breakfast restaurants in Barcelona, it’s largely thanks to the many suppliers who fill it each day with a wide range of premium products: teas from Revolution Tea, which has been around for two decades; top-quality bread handmade by the expert bakers at Triticum; traditional and healthy jams from La Vieja Fábrica, whose recipe dates back to 1834; Échiré butter, one of the most prestigious butters in the world; an impressive array of organic honey, fruits and vegetables from Guzmán; nuts and other artisanal local foods from Casa Gispert, synonymous with good breakfast in Barcelona since 1852; exquisite smoked fish from Alaska and Iceland, brought by Benfumat directly from the sea to your table; 100% natural jamón ibérico de bellota, hand-cut by Joselito and considered the best cured ham in the world; and tempting waffles courtesy of Goofretti, who have devised an ingenious rotating waffle machine exclusively for Lokal that makes waffles with the perfect texture and flavor in just three minutes. Hungry yet? Hotel Arts knows that to truly be the best place to have breakfast in Barcelona, they have to work with the best people and products. 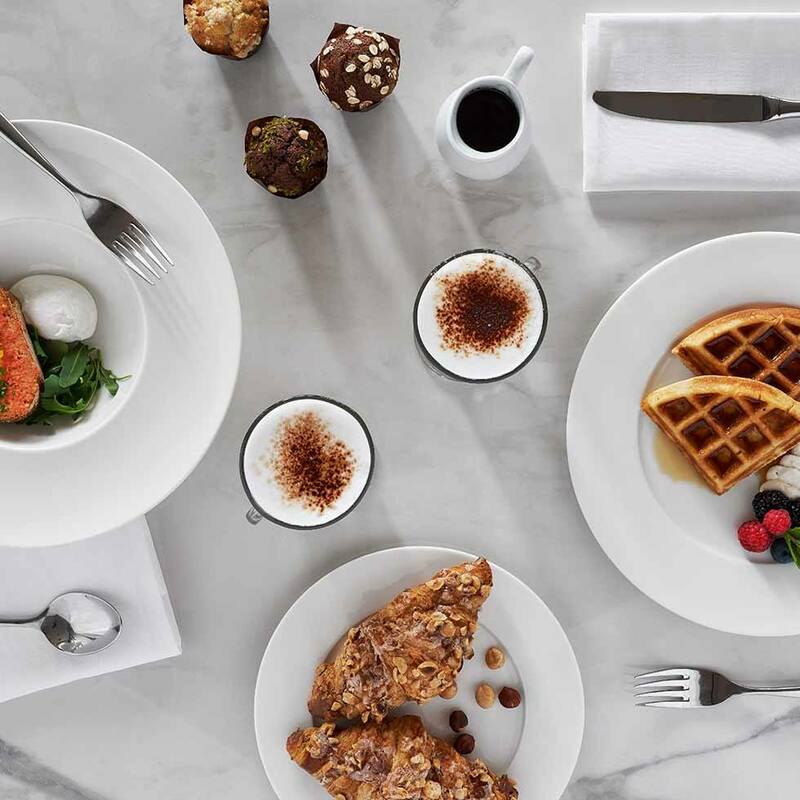 We could keep talking about the wonderful flavors that you’ll find every morning at Lokal, but the proof is in the pudding—so we invite you to experience this impeccable service and food firsthand by enjoying a delicious breakfast right here in the restaurant. 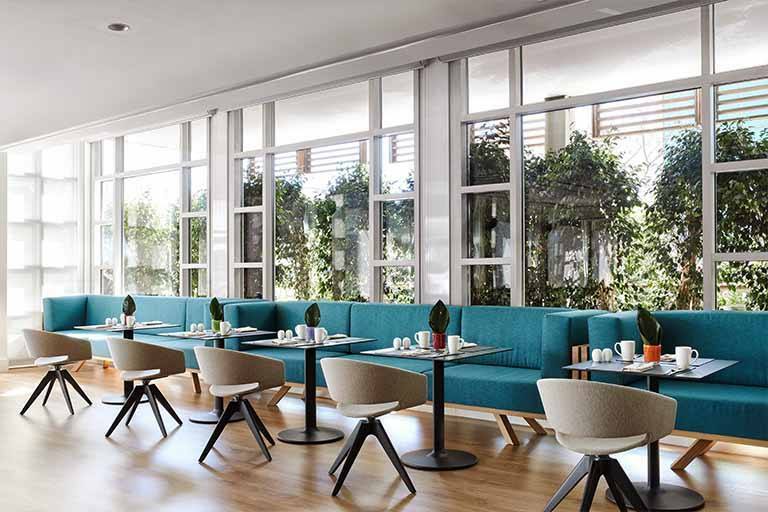 Stop wondering where to eat breakfast in Barcelona and treat yourself to a one-of-a-kind morning, with the best local and international cuisine and superb service that’s always guaranteed at Hotel Arts Barcelona. Breakfasts at Lokal go hand in hand with dinners at Enoteca Paco Pérez. Discover them for yourself! We’re here to help you start your day the best way possible from Monday to Sunday, 7:00 to 11:30 a.m.